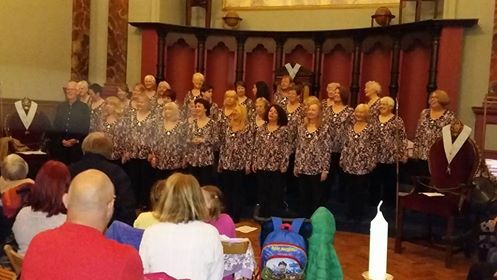 The chorus will be singing at a charity fundraising concert on Wednesday the 3rd of February at The Church of the Holy Saviour, Crossway, Tynemouth, NE30 2LB, Tyne and Wear.The concert will start at 7.30pm and will also feature The Blue Moon Trio as special guests. A tremendous success and £500 raised for charities. 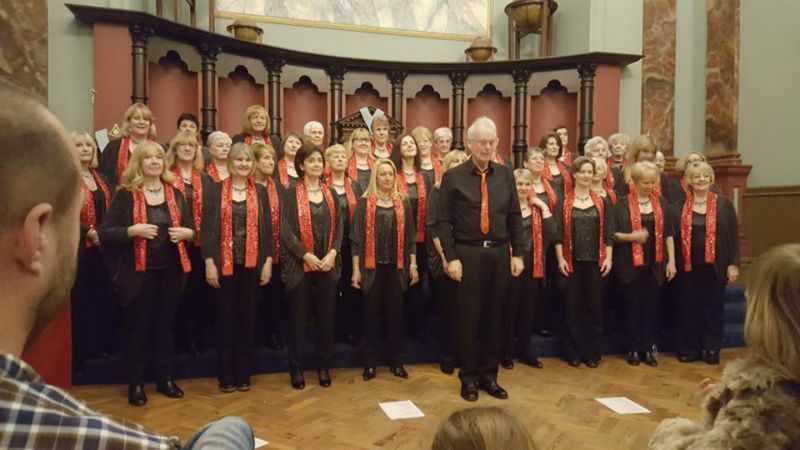 The chorus will be the guests of Compass Acapella at an evening concert on Tuesday the 5th of April 2016 at All Saints Church, Cleadon Lane, Cleadon, Tyne and Wear, SR6 7UU. The concert will commence at 7.30pm. Another fabulous concert as guests of Compass Acapella. 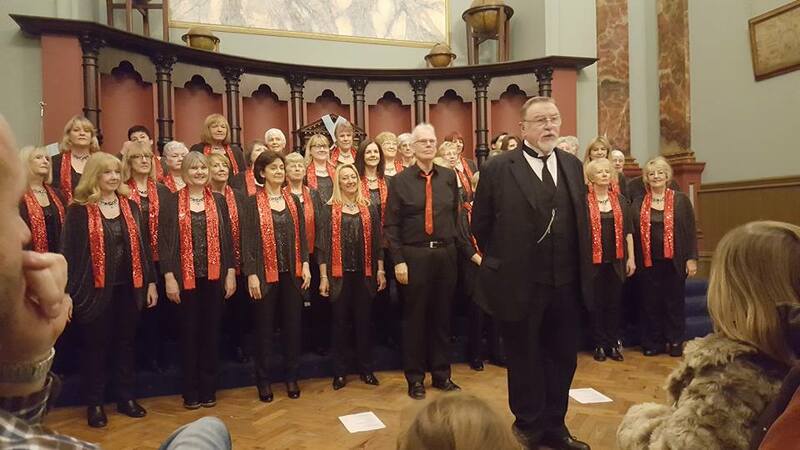 The chorus will be singing as guests of Compass Acapella at a charity concert being held in St Gabriels Church, 1 St Gabriel's Ave, High Barnes, Sunderland SR4 7TF. The concert to raise funds for prostate cancer will commence at 7pm. A fantastic performance to over 200 people raising almost £500 for charity. Tyneside A Cappella will be performing in a concert being held in St Cuthbert's Roman Catholic Church, Albion Road West,North Shields,Tyne & Wear,NE29 0JB. The concert will start at 7pm and is to raise funds for the church. A fabulous performance by the chorus bringing a standing ovation from the audience. 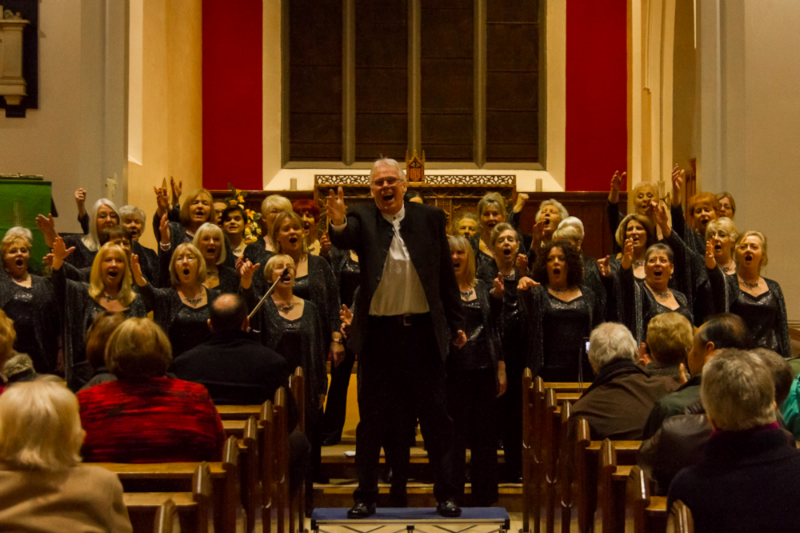 Just to say I was one of the many privileged, in the audience at St Cuthbert’s church on Friday night, who enjoyed a spectacular performance from Tyneside Acappella. Not sure of what to expect I was presented with a fantastic evening of songs with the singing pitch perfect. The church is not renowned for its acoustics, though that did not matter at all, as the quality was clearly evident in the tones and harmonies. The singing was superb and executed very, very professionally, it was a pleasure to be there and a most enjoyable evening. Tyneside A Cappella will join forces with Compass Acapella at Beamish Museum on Saturday the 11th of June 2016. The lunchtime concert will commence at 1.30pm in the Masonic Hall in the town centre. Another wonderful concert given by the chorus and 'brother chorus' Compass Acapella. A full house for the whole performance! 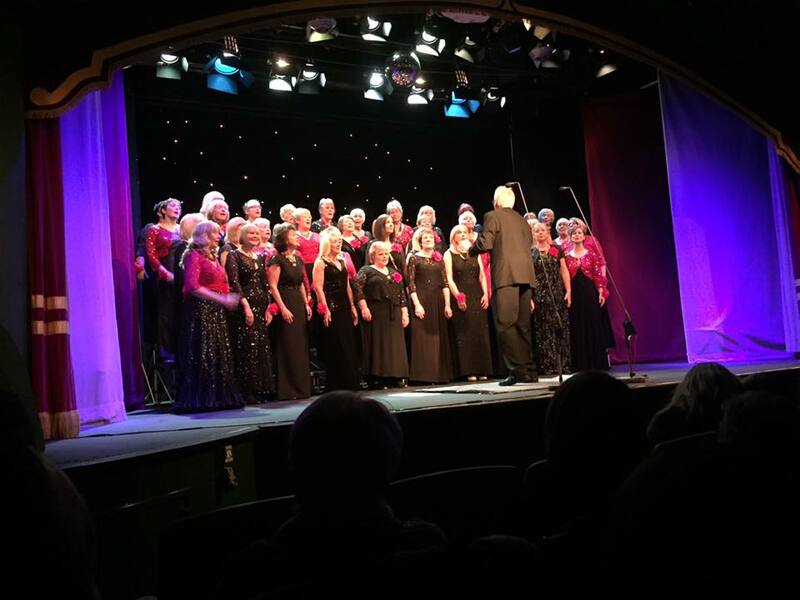 The chorus have ben invited to sing at Cullercoats Methodist Church on The Broadway, North Shields, NE30 3LJ, on Thursday the 11th of August to close the three day 'Holiday at Home' event being held there. The performance will start around 3pm. This is a private event. A wonderful afternoon enjoyed by both the audience and the chorus, and an opportunity to teach a song to all of those 'on holiday'. 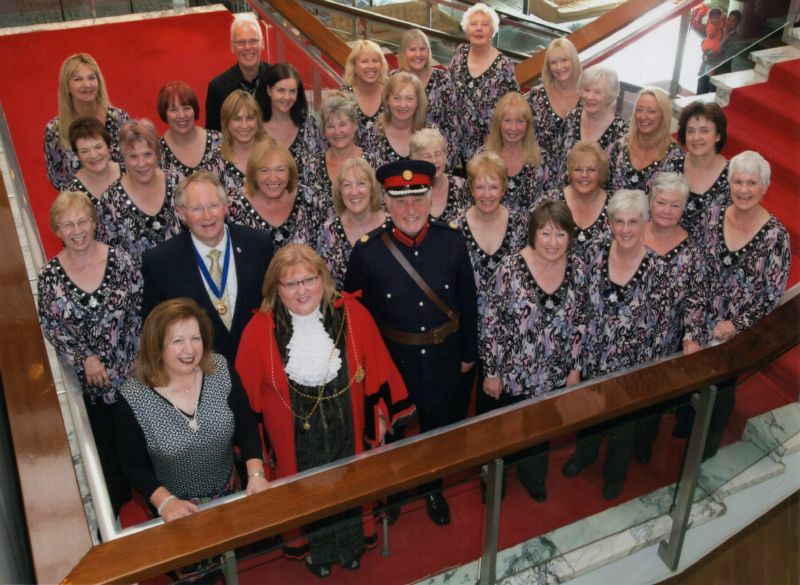 The chorus has been invited once again to perform at a Citizenship Ceremony at Newcastle Civic Centre at 2pm on Tuesday the 6th of September 2016. This is a private event. Another wonderful afternoon performance by the chorus to welcome over 40 new UK residents to the North East. Tyneside A Cappella have been invited as guests of Compass Acapella to sing at West Harton Methodist Church, Boldon Lane, South Shields, NE34 0NE on Friday the 16th of September. The concert will start at 7.30pm.This is a fundraising concert for the church and all are welcome. A great concert supporting Compass helping to raise £310 for the church building fund. Tyneside A Cappella have been invited by Backworth Male Voice Choir to share a concert with them on Saturday the 1st October 2016. The concert will take place at The Church of Saint Hilda (Marden with Preston Grange), Stanton Road, Preston Gate, North Shields, North Tyneside, NE29 9QB. The concert will start at 7pm. A wonderful musical evening spent in the company of Backworth Male Voice Choir raising over £800 for the church. Tyneside A Cappella will be singing in a charity concert on Saturday the 15th of October to help raise funds for the charity 'Blind Dogs'. The concert is being held at The Church of the Holy Saviour, Crossway, Tynemouth, Tyne and Wear, NE30 2LB, and will commence at 7.30pm. Special guests for the evening will be Compass Acapella. 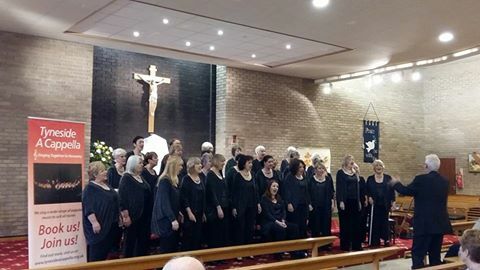 A fabulous performance by both choruses in an amazing concert which raised £900 for the charity. Another incredible evening guesting for Compass Acapella. Fabulous singing and £500 raised for Dementia Care and the church funds. 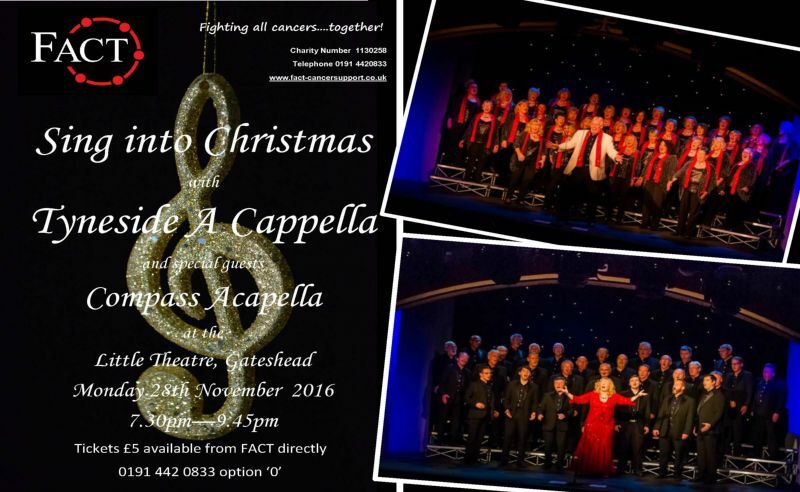 Following on from the successful Christmas concert in 2015 to raise funds for FACT (Fighting All Cancers Together), Tyneside A Cappella have been asked to put on another Christmas show on Monday the 28th of November at The Little Theatre, 3 Saltwell View, Gateshead NE8 4JS . The concert will commence at 7.30pm and special guests for the evening will once again be Compass Acapella. 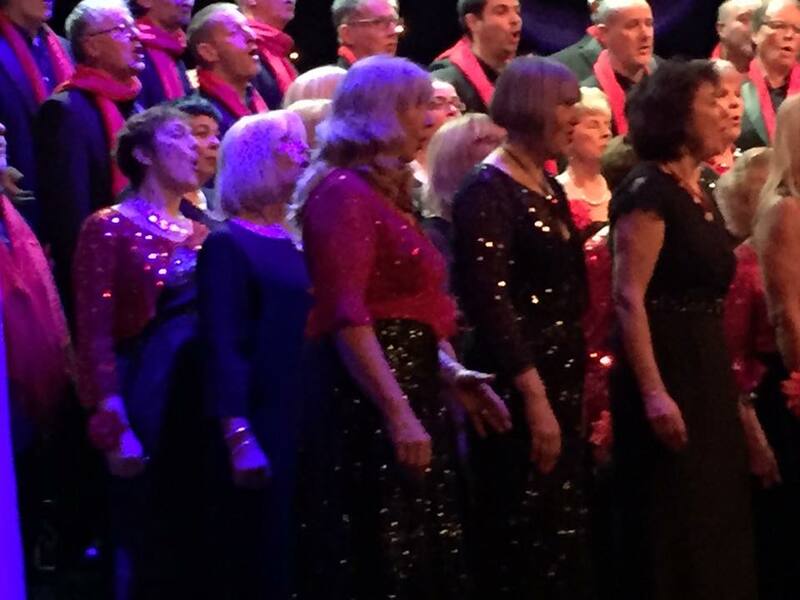 A fabulous concert with superb performances from both choruses raising £850 for 'Fighting all Cancers Together' (FACT). After the success of last year, the chorus has been invited back to sing at the official lighting of the Christmas tree sent from Norway. Every year the people of Bergen in Norway send a tree to the city of Newcastle and the chorus will be singing festive music at the 'swith on'. The event takes place at Newcastle Civic Centre at 6pm. A great honour to be singing for the Lord Mayor of Newcastle, the Mayor of Bergen, our Norwegian friends, and the people of Newcastle at this wonderful event. 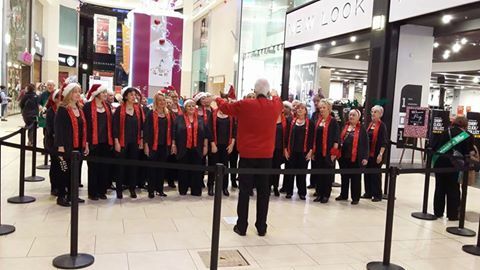 The chorus will be performing a festive programme (as well as one or two other songs) on Thursday 8th December in Eldon Square in Newcastle. The performance will take place between 5pm and 6pm and will be outside of the Debenhams store. Fantastic performance by the girls tonight serenading the shopers in Eldon Square in Newcastle and helping to raise funds for Macmillan Nurses. These girls really are something very special! 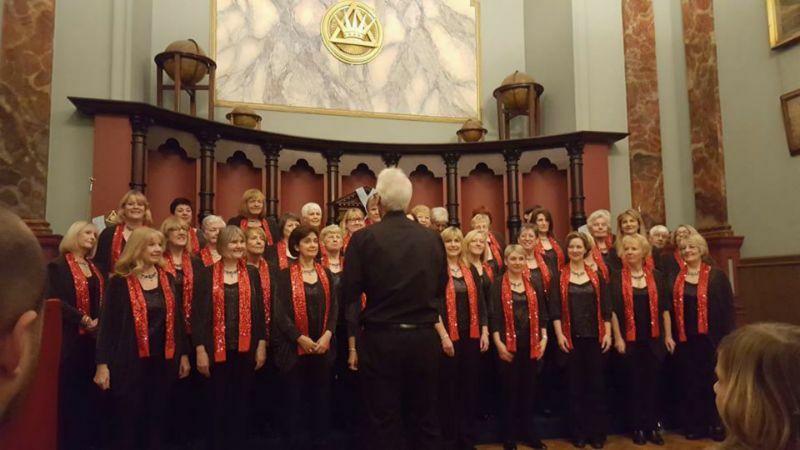 Tyneside A Cappella will be presenting a concert of their Christmas music in the Masonic Hall at Beamish Museum at 1.30pm on Saturday the 10th of December. 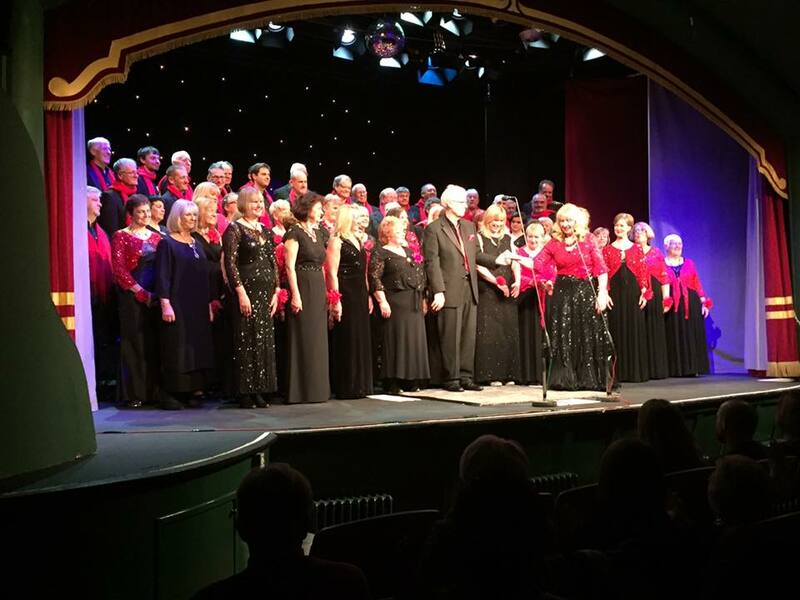 The chorus will also be including songs from their popular repertoire and special guests will be 'The Blue Moon Trio' and 'Out of the Blue'. Get there early to get a good seat. A fabulous performance in afabulous setting by fabulous ladies - to a full house! 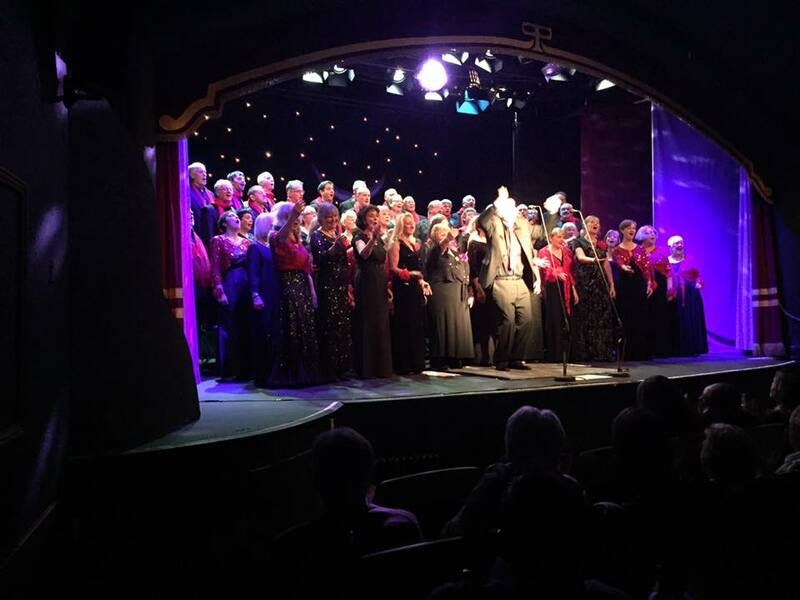 The chorus will be performing at Seaton Delaval Hall, The Avenue, Seaton Sluice, Whitley Bay, NE26 4QR on Saturday the 17th December. The performance will include Christmas music as well as songs from the current repertoire. Special guests will be The Blue Moon Trio and Out of the Blue. The performance will start at 12.30pm. A fitting end to a fantastic year with a stunning performance of the Christmas songs in the kitchen of the great hall to a packed audience, who gave the chorus rapturous applause to every song that they sung. The best singing I have ever heard in my life.